Our Datacard card systems offer an all-in-one solution to your ID requirements. 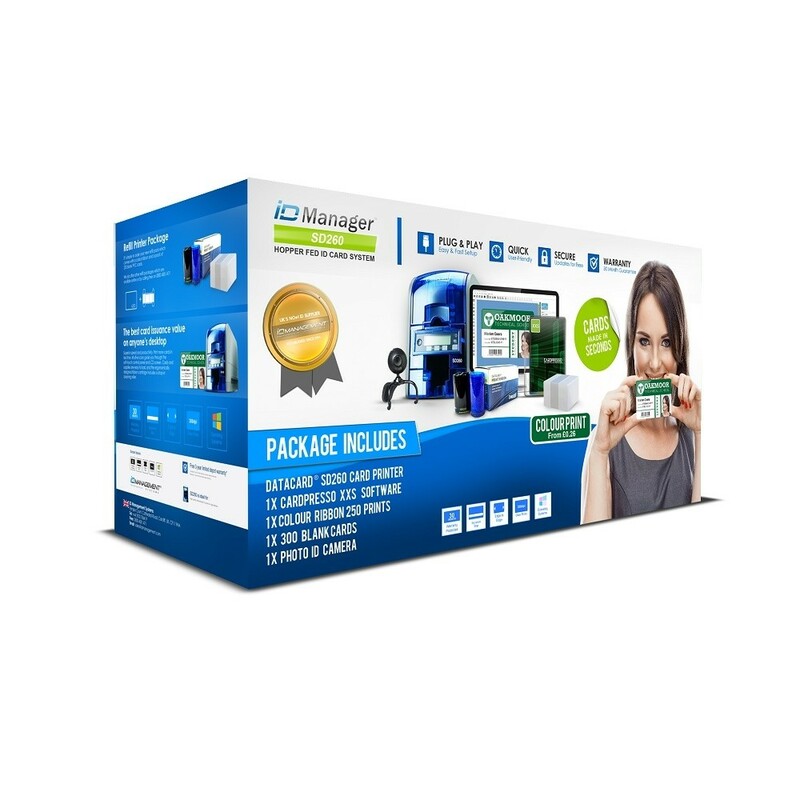 Our handy packages include everything you need to get you started creating and printing your own custom ID cards, including either the SD260, SD360 or SD460 card printer, Cardpresso printer software, a full colour ribbon, a photo ID camera and blank ID cards. Enjoy 14 days' free 24 hour telephone support to assist you in the initial set up of your printer. For more information, call us on 0800 408 1471 or use our live chat feature below.